< Sewing For Pleasure Competition Winners! 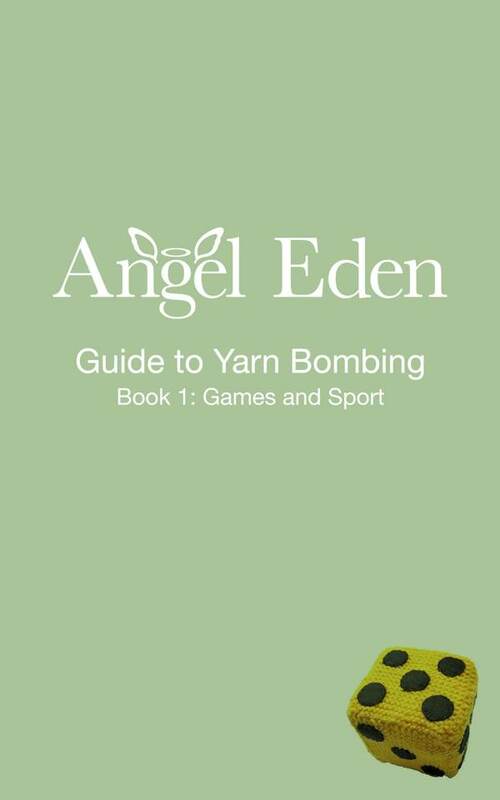 Our First E-Book on Yarn Bombing and it’s free! That’s right Anne and I have written our first ever e-book! It’s a brief guide to Yarn Bombing with a wonderful collection of seven sports and games themed patterns including knitted dice, snakes and ladders, bunting and more! The ebook is available for readers of the blog as a free download right here, it can be viewed using your Kindle or any device with a Kindle App. If you would prefer to download it direct from Amazon you most certainly can, but there is a nominal charge (we kept it as low as we possibly could) just click here Kindle Store. To use on any device with a Kindle App (iPad, computer etc) simply click on the link and select ‘Open in Kindle App’. On a computer you may need to save the file first and then open with your Kindle App. If you have any issues send me an email and I shall do my best to help. This entry was posted in Tutorials and tagged Abi Day, Anne Clark, crochet, E-book, Ebook, free book, free ebook, free knitting patterns, free pattern, games, gorilla, graffiti, guerila, knit, knitting, olympics, sports, yarn, yarn bombing. Bookmark the permalink.